Synopsis: American Assassin is a story centered on counterterrorism agent Mitch Rapp. American Assassin is the type of disposable action/drama that can be found historically throughout the month of September. The plot is fairly predictable, the characters and their motivations are very thin, and the action is serviceable if a bit generic. Though it may be based on a novel by Vince Flynn, what was likely an enjoyable casual read is translated into a decent casual watch. There is very little that’s remarkable about American Assassin, but it’s by no means a train wreck. The basics of American Assassin are fairly straightforward. 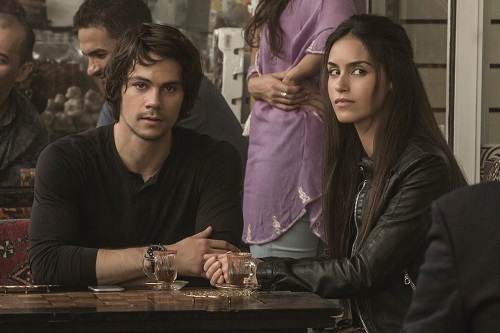 Mitch Rapp (Dylan O’Brien from The Maze Runner and “Teen Wolf”) is a 20-something whose life is flipped upside when a terrorist attack occurs while on vacation. Rapp dedicates his next year or so to training (weapons, hand-to-hand combat, extensive Muslim knowledge) for revenge before he is interrupted mid-operation and recruited by the US government. Rather than a reckless vigilante, the powers-that-be, namely Counterterrorism director Irene Kennedy (Blade‘s Sanaa Lathan), want to build on Rapp’s own training and make him an elite agent. 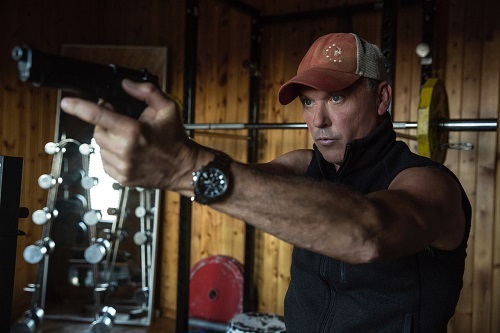 Of course, any reckless potential agent needs a grizzled mentor, and in American Assassin‘s case, the film has recruited Michael Keaton (Birdman, Spider-Man: Homecoming) to fill that role. Keaton’s Stan Hurley is your prototypical mentor figure – his methods are unconventional, his temper is a little on the hot side, and he’s got a little bit of comedic relief to him. Hurley clearly sees the potential in Rapp, but also notes his flaws as well. However, it isn’t long before the two are thrust on their first mission, which just so happens to revolve around Hurley’s former protégé, a man who goes by the moniker Ghost (Taylor Kitsch from John Carter). What follows is a combination of international political intrigue and some surprisingly violent action, none of which amounts to very much in the grand scheme of things. Rapp is your prototypical skilled agent that tends to ignore direct orders and still succeed in accomplishing his mission, all the while Hurley is chastising yet secretly admiring him. The best way to describe American Assassin is a matinee action drama that is mindless and completely forgettable. It embodies the type of New York Times Bestseller fluff on which it is based and never reaches beyond a basic clip of entertainment. In other words, it’s a perfectly satisfactory two hours at the movies, but nothing to write home about. None of the characters are particularly memorable or well-fleshed out, and the story doesn’t have any twists or turns that are exciting or unexpected. 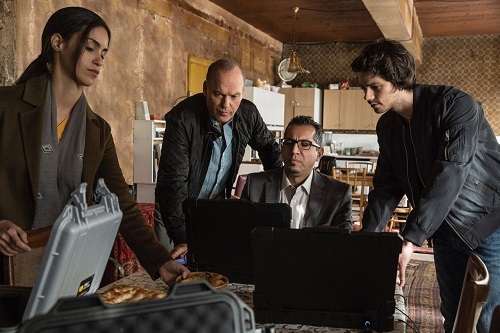 The action is arguably the thing American Assassin has going for it, but even that isn’t going to blow viewers away. American Assassin just kind of exists, and for those looking to kill some time with something that isn’t half-bad, this works. American Assassin didn’t need to be Rated-R, but the fact that it is gives the film a grit that helps keep it a little more interesting. Counterterrorism is violent stuff and the movie never shies away from showing some of the brutality that comes with getting the job done. The film is also smart about how it approaches skirmishes and fight sequences, going for choreography that feels realistic and to the point. Trained killers are brutal and without remorse, and the film tries its best to highlight that. For some that may be a little off-putting, but for others, it will likely help make it a little more exciting. Take your pick based on your sensibilities.